The power of this book lies in nostalgia. The shared experiences of student life, as humorously related by Bob Ong. And I realized that these experiences, more or less, never really varies THAT much from era to era. The 70s born Pinoy kid will just as much relate to this as those of the 90s. Soon, I found myself back in elementary, and then high school , and then college. After which I had a nice chat with my sisters about the various sweets (choki choki! mikmik!, bazooka joe!) and junk foods we had back in school, the parlor games (saksak puso!, langit lupa!) during recess, the teachers, the crazy classmates, the cramming, the school projects and the field demos, and all other "kalokohans" and "katangahans" of student life. But, this book goes beyond a trip down memory lane. It is also a bit of a social commentary regarding the country's school system and the importance of education. It speaks, as well, of how much of a measure of a man's character is being learned. It also tells of justice, and fairness, and equality. Like I said, I enjoyed the book more than I did when I first read it. I appreciated Bob Ong making it real by including some not so happy memories of his young student life. And while I had fun reminiscing about the good ole fun times, I also took away some life lessons here and there. Looks like this book is very nostalgic. Speaking of going down the memory lane, recently, I've been looking at things we do or own during childhood. #wheniwasbatapa trend in Twitter had be laughing for a while, and the 90s trends let me look back and reminisce my childhood. I kind of missed it. It made me realize that the things in the past are very different than now. 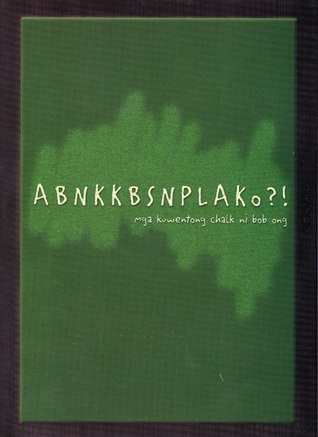 I checked out #wheniwasbatapa, it's pretty funny! I do remember the 3210, Kodak, the afternoon naps, and the idea of the moon following you, and the grooming kit! Haha! 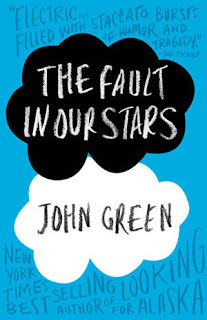 Now I know what all the hubub about TFIOS is about. Sure the hype is well deserved, but had I read this at a different time, I would have raved about it. But I am old AF and I think I am a little less dazzled by young love of this kind. The story is pretty basic and so are the characters.For me, it is the dialogue that stands out. John Green is a superb wordsmith. He can string a lot of quotable quotes that stirs all the right bits in your heart.